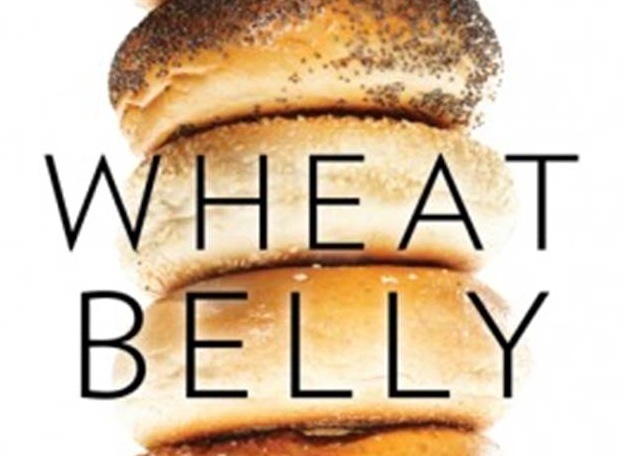 I wasn’t planning on blogging about Wheat Belly. I just thought that I should actually read it so that I could discuss it knowledgeably. However, I made the mistake of starting to read it right before bed and was seething with frustration by the end of the introduction! I’ve decided to record my thoughts in response to particular statements in the book as a cathartic exercise. I am going to argue that the problem with the diet and health of most Americans is not fat, not sugar, not the rise of the Internet and the demise of agrarian lifestyle. It’s wheat – or what we are being sold that is called wheat. Hold up! So, is wheat the problem? Or are grains in general the problem? After all, there are many other grains besides wheat. I sure hope that Davis can make up his mind before the end of the book. Davis provides a couple of examples of people benefiting from eliminating wheat from their diets. Are these your average overweight Americans? Nope. A woman with ulcerative colitis and a man with joint pain. It’s entirely possible that these two people were suffering from some form of wheat allergy. Two people with specific health conditions are not enough to prove that wheat is what’s making everyone fat. Just looking at the cover… Those bagels look delicious. I never eat bagels. What voodoo is this book? Chapter One: Davis keeps mentioning weight gain being concurrent with the increased consumption of “healthy whole grains”. Then he uses whole wheat bread as the example because it has a high glycemic index (putting aside the fact that this would likely be mitigated by consuming bread with other foods). To me, this is not a healthy whole grain. How about wheat berries? One quarter of a cup of which contains only 170 calories, 6 grams of fibre, and 7 grams of protein. The problem here is not the grain, it’s the processing. Oh, and let’s not forget the consumption of excess calories! Chapter 2: All this talk about the message from health organizations being to “eat more healthy whole grains”. Funny, I always thought the message was to make more of your grain servings whole grain. Not simply to eat more whole grains overall. This chapter focuses on the vast genetic difference between modern wheat and its ancestors. Haven’t we hugely altered the genetic profile of all of our crops though? None of them would be the same as those consumed by previous generations. This loss of diversity is certainly unfortunate from an environmental as well as a culinary standpoint. However, I’m not sure why wheat has been singled out here. Why not corn, or milk, or honeycrisp apples? Etc. I also love Davis’s little “experiment” on himself (wherein he feels fab after eating a three egg cheese omelette for breakfast but foggy after toast). Of course there could be no bias or psychological factors involved when he has a vested interest in the results showing that modern wheat is toxic. (Please read the previous sentence in sarcasm font). Chapter 3: Where we learn that wheat is dangerous for numerous reasons. One reason: it’s abundant in carbohydrate which gives it a high glycemic index. I’ve blogged before about the foolishness of claiming a snickers bar is healthier than whole wheat bread simply because it has a lower GI. In addition to the carbohydrate, wheat is uniquely dangerous because it contains gluten which causes illness in those with celiac disease and wheat allergy. Funny that this should also make wheat perilous for those of us without those conditions to consume. People can be allergic to any food. Just because some people react badly to a food doesn’t mean that no one should consume it. If that were the case we would all be extremely malnourished. Chapter 4: Some mention of interesting sounding research involving gluten and the brain. As my first degree was in psychology I love research that marries nutrition and psych. Must check-out the original articles to see if it was good research. Can’t help but wonder why it’s necessarily a bad thing that wheat is allegedly a mood enhancer. Perhaps there may be psychological benefits to wheat consumption. I am also getting frustrated with the yammering on about the high GI (glycemic index) of whole wheat bread. GI isn’t very meaningful. GL (glycemic load – how much an actual serving of a food increases blood sugar) is more helpful. Still not the be all and end all in diet but better than GI. The GL for whole wheat bread is only 9. That’s a low glycemic load food. Now he’s using celiac disease as an example. Yes, of course people lose weight if they give up gluten (which is in more grains than just wheat; negating the blame wheat for everything theory) and don’t replace it with calorie dense gluten-free alternatives. This is because they are consuming fewer calories! I will give Davis credit for advising people not to replace glutenous foods with highly processed gluten-free alternatives. Chapter 6: I’m mostly fine with the information about celiac disease although there is some manipulation of stats to make it appear as if gluten is also the cause of other ailments such as diabetes, cancer, gastric reflux, and IBS. I’m finding myself wondering if every little ailment I have might be cured by the elimination of wheat. Chapter 7: I agree that carbohydrate reduction may be beneficial to glucose control for those with diabetes. However, I disagree with Davis laying the blame on wheat. There are many sources of carbohydrate and blood glucose control would likely be seen by limiting all sources, not just wheat. Chapter 8: Davis writes about the association between celiac disease and osteoporosis. The problem with association is that it doesn’t equate to causation. Isn’t it likely that the cause of osteoporosis in celiac sufferers is due to chronic nutrient malabsorption? Therefore, extrapolating that wheat causes osteoporosis to non-celiac sufferers is quite a stretch. Chapter 9: I find it interesting that Davis states that eliminating wheat will reduce blood acidity. Unless you have a medical condition, our bodies are excellent at regulating blood pH balance. In addition, the ketosis that Davis encouraged with his low-carb diet can, if extreme enough, actually increase the acidity of blood: keto acidosis. Chapter 10: This chapter is all about how wheat causes heart disease through increased small particle LDL and triglycerides. While it’s true that wheat products may contribute to these undesirable particles in the blood it’s important to note that wheat is not the only culprit. Any simple carb can contribute to elevations in these particles. As can a lack of exercise/sedentary lifestyle, excessive alcohol consumption, and genetics. Wheat is the easy target because it’s dominant in our North American diet. This doesn’t mean that it’s to blame for heart disease. Chapter 11: Absolutely terrifying to think that suddenly we could start suffering from cerebral ataxia. Davis sure is doing a good job of scaring the wheat out of us. It’s true that gluten may play a role in some cases of cerebral ataxia. However, how common is cerebral ataxia? According to the National Ataxia Foundation, an estimated 150, 000 Americans have hereditary or spontaneous ataxia. That’s about 0.04% of the population. If we look only at the prevalence of sporadiac ataxia, we’re looking at about 0.0084% of the population. Considering that some of these cases may be related to gluten, we’re looking at a really small percentage of the population. We already have so much to worry about. This is fear mongering. Wheat is really the worst in carbohydrates. But other carbohydrates can be problem sources as well, though on a lesser scale compared to wheat. Are you thinking what I’m thinking? This sounds very much like many other low-carb fad diets with a touch of paleo thrown in for good measure. This is quite simply untrue. Calories do matter. If you consume more calories than you burn you will gain weight. If you consume fewer calories than you burn you will lose weight. Of course it’s not a simple mathematic equation but to suggest that the mere elimination of wheat will lead to weight loss is incredibly misleading. Obesity (especially visceral fat), schizophrenia, depression, breast cancer, various digestive problems, eating disorders, diabetes, IBS, GERD, cancer, hair loss, arthritis, LDL, heart disease, encephalopathy, peripheral neuropathy, cerebellar ataxia, seizures, and myriad skin conditions. I’m sure that I missed a few in there. I don’t know about you, but when I hear about a cure-all like that I think “snake oil!”. There are too many promises here. Too good to be true? I’m afraid so. Tags: book review, diet, Dr William Davis, fear mongering, gluten, low-carb, nutrition, snake oil, weight loss, wheat belly | Permalink. OMG. That’s infuriating!!! Eliminating wheat has NOTHING to do with schizophrenia, depression, or eating disorders. ESPECIALLY not eating disorders. We shouldn’t be encouraging people with eating disorders to eliminate anything from their diets! Grrrrrr. I love this. I’m going to start flapping it at every single person in my life – and goodness, there are many – who seem to think that if I just followed either this diet… or the paleo diet… or whatever… that I would slim down. Did you read this article in Macleans a while back? http://www2.macleans.ca/2013/09/10/gone-gluten-free/ Dr. Davis is pretty freaking disingenuous about his role in all of this. I did read that article but it was a while ago. Might be worth another read. I think you summed up the whole book beautifully when you said, “This is fear mongering.” I hate this book and I hate the whole gluten free trend (in part because of the article Hannah mentioned). It’s so much bull and so many people are being swayed by it when it’s clear, from their excuses about why they need to go gluten free, that they really just need to eat fewer chips and white bread. Sounds like he should strike up a nice little association with some chiropractor who cures autism and cancer by fixing subluxations or squishing people’s heads. Thank-you. I love when someone debunks a hysterical diatribe with facts and logic. Ha! Match made in heaven. Personally I tend to agree with you, I read it a couple years ago, thought it was a bit overblown even though (as you could probably tell by the Twitter handle) I don’t eat a lot of gluten myself :) I also detest the “gluten-free” products trend .. as far as I’m concerned they should just throw up a “Gluten-free” sign at the start of the produce section and stop there. For every celiac who is excited with the new lines of products available to them, there is one that has been accidentally gluten’d by a chef claiming they have GF menu items (but then cooking/preparing them on the same surface). On the calories don’t matter bit though, I think (and mostly b/c I’ve heard others say the same thing with a bit more explanation) he meant that consuming real food tends to allow your normal satiety hormones to limit consumption. I don’t think he was suggesting you could just eat all you want without gaining weight. On the ketosis->ketoacidosis comment you made, I was under the impression that the two were similar but unrelated (at least according to Peter Attia http://eatingacademy.com/nutrition/is-ketosis-dangerous)? Oh but exactly what he said was that once you eliminate wheat calories no longer matter. Even if your interpretation was what he meant, I doubt that’s how most people will interpret it. As for the ketosis/ketoacidosis. You’re correct, they are different. My point was just that his argument that wheat increases acidity in the body was bunk as a low carb diet (taken to extremes) will actually do that. Beside the fact that our bodies are excellent regulators of pH. Glad that we agree, for the most part. Thanks, as always, for reading! How to create a new diet fad: Dream up a plausible-sounding hypothesis, contruct an entire story around it and write a book. If you are by chance a doctor, gullible people will think your opinion is unassailable. I’ve talked to people who quit eating wheat for no other reason than a friend read this book and thought he made sense. If I were to stop eating all the foods that I’m advised to stop eating by various diet promoters, I’d starve. No wheat (Wheat belly), no meat or dairy or even honey (vegan), no legumes (Paleo), no white foods (various). Meh. Thank you for your insightful review of the book. Have you considered reviewing the book Grain Brain by David Perlmutter, who is a board-certified neurologist and Fellow of the American College of Nutrition? It is a popular book at the local library, and seems to be garnering a fair amount of press. Thanks Scott. I’ve got a hold on Grain Brain at the library (I don’t want to pay to read it!). I’m not sure if I’ll review it here or not. There was quite a good review of it in The Atlantic: http://www.theatlantic.com/health/archive/2013/12/this-is-your-brain-on-gluten/282550/. Looks like Davis read the comments you said and is now attacking ALL grains. Glad he made up his mind.